Experience 5-star excellence in the heart of the Tropical North. Pullman Cairns International stands command at the gateway to the Great Barrier Reef. It offers direct access to the bustling Cairns City Centre, is close to the cruise departure terminal, plus guests can enjoy stunning views of the vessels moving in and out of the Trinity Inlet as they make their way out toward the reef, islands and seemingly endless horizon. Pullman Cairns International is grand and luxurious. The building stands tall and boasts an impressive architectural style that pays homage to the city’s rich colonial past. 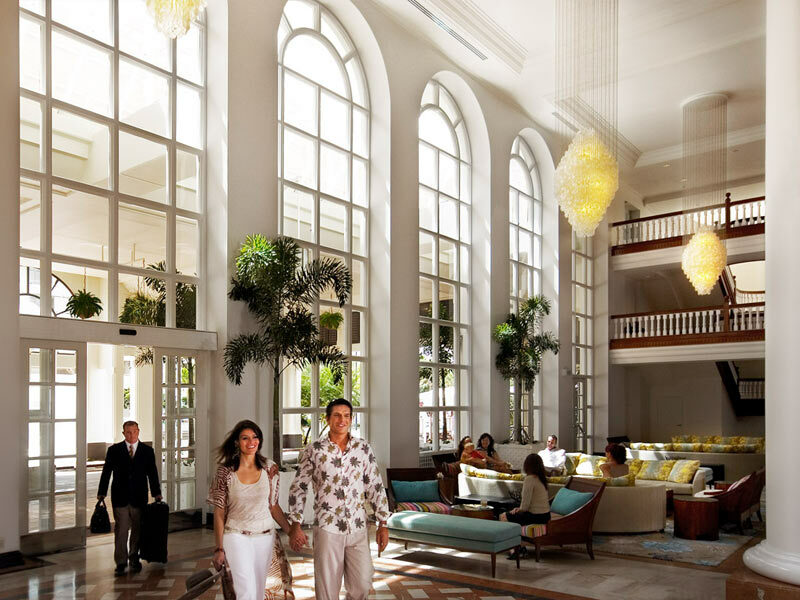 From the moment guests arrive, they’ll be met with large columns, high ceilings, chandeliers and marble finishes. Plush furnishings decorate the guestrooms and common spaces and tropical palms surround—Pullman Cairns International is a real treat to the eyes and its facilities will ignite each of the senses! The guestrooms at Pullman Cairns International are the largest hotel rooms in Cairns! Offering over 40sq. metres each and complete with upscale décor, private balconies and views over the harbour or hinterland, these rooms and suites are the premier choice for North Queensland accommodation. Embrace ultimate comfort and unwind in style. Spacious bathrooms are finished with Italian marble, floor-to-ceiling windows let the tropical sun stream into each space and every moment there will be coated in luxury! 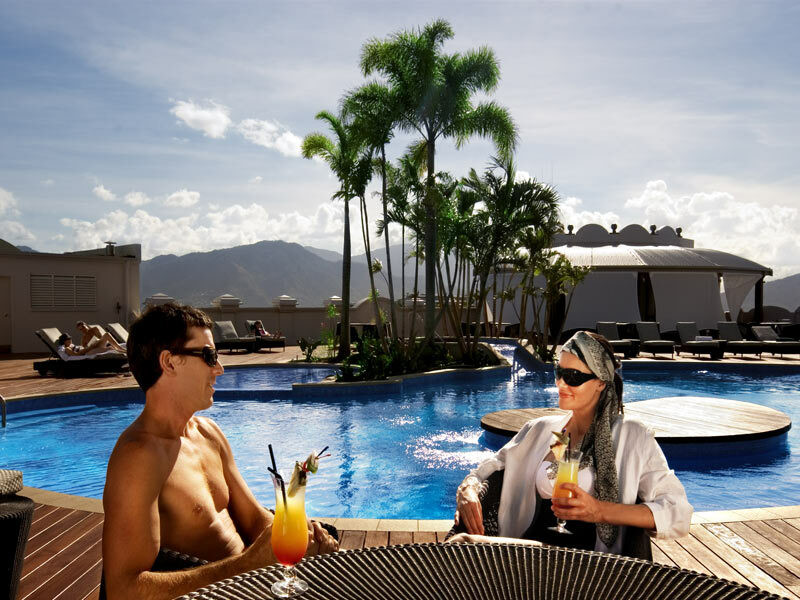 Why go to Pullman Cairns International? Pullman Cairns International is home to the popular Coco’s Restaurant. Boasting award-winning chefs, a nightly seafood buffet, vegetarian specialties, desserts and more, all foodies will find their happy place here! 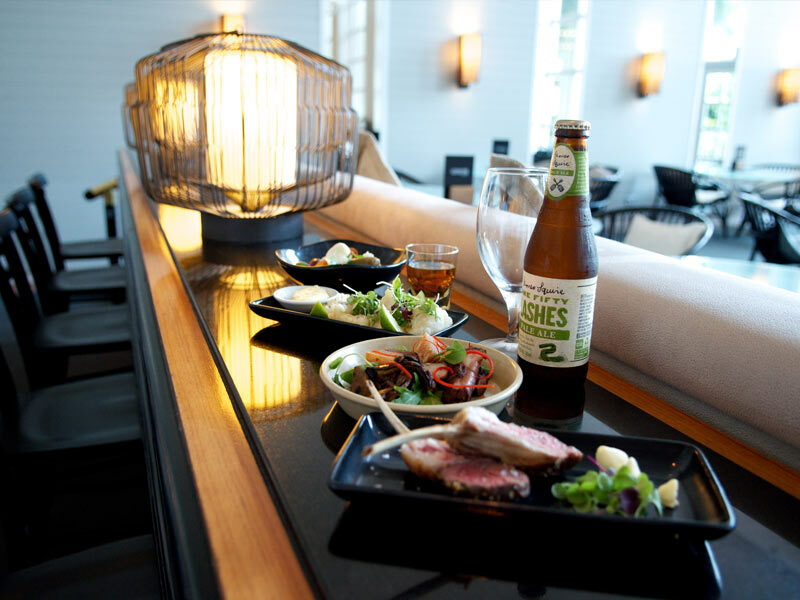 Events and functions (including Melbourne Cup luncheons and Christmas Day feasts) can be held here on in the grand ballroom, there’s a lobby bar for a quick snack or drink, plus a tapas restaurant, high-tea picnics and so much more! 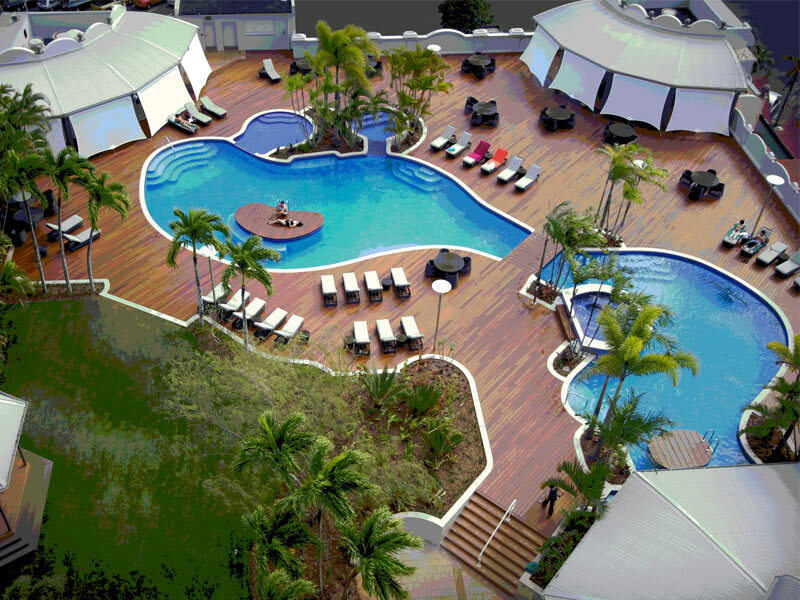 Other facilities at Pullman Cairns International include a large outdoor pool, garden and the tranquil Vie Spa. There’s a gym, sauna, 24-hour room service, a tour desk, Wi-Fi, guest laundry and more, plus there are countless attractions nearby. Shop, dine, stroll and explore—Pullman Cairns International is the perfect luxurious base from which to experience the incredible Tropical North! Spread out in over 40sq. metres of space and enjoy the perfect blend of comfort and convenience here! City Mountain View Rooms look across the bustling Cairns City Centre and boast their own private balcony. 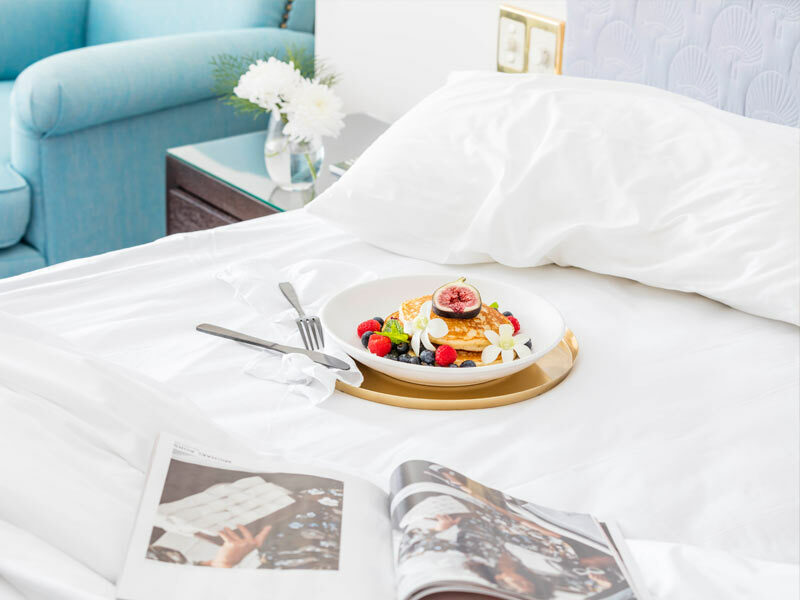 Choose between 1 Queen or 2 Double beds, make use of the spacious bathroom with Italian marble finishes, access 24-hour room service and more! These rooms feature quality linens, designer amenities, a mini-bar, Wi-Fi and more. They can comfortably accommodate up to 3 guests. Wake up to stunning views over Cairns harbour and the Trinity Inlet. 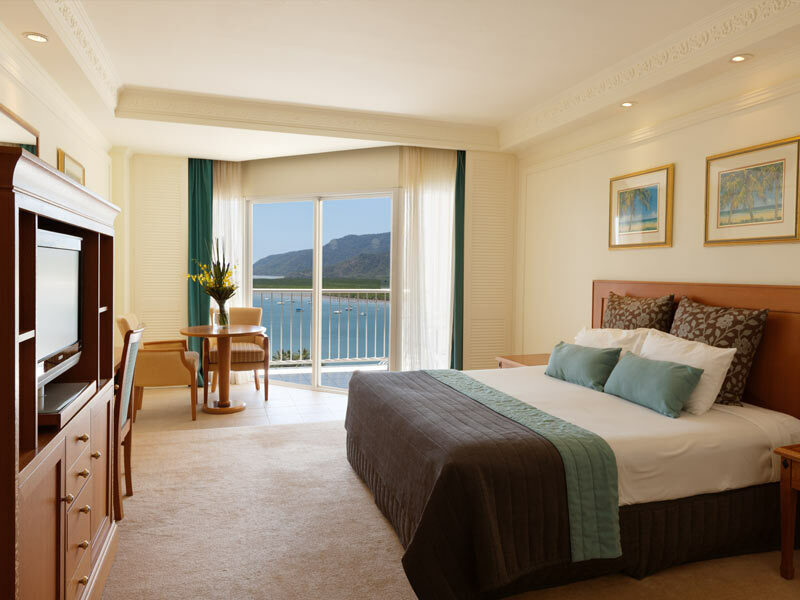 Harbour View Rooms are spacious and luxurious. Spread out in over 40sq. metres of space, sink into plush bedding (either 1 Queen or 2 Doubles) and take in the views from your own private balcony. Built-in wardrobes and luggage storage will provide plenty of room for your belongings, the bathroom boasts Italian marble finishes, designer amenities, back-heated anti-fog mirrors and quality towels, plus there are blackout curtains for privacy, Wi-Fi, a flat screen TV and more for you to enjoy! 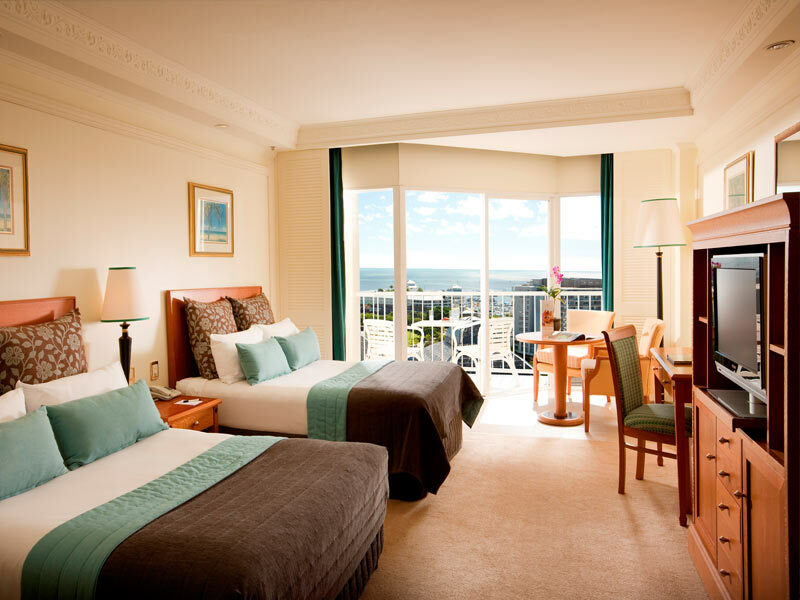 Harbour View Rooms can accommodate up to 4 guests and inter-connecting rooms are available on request. 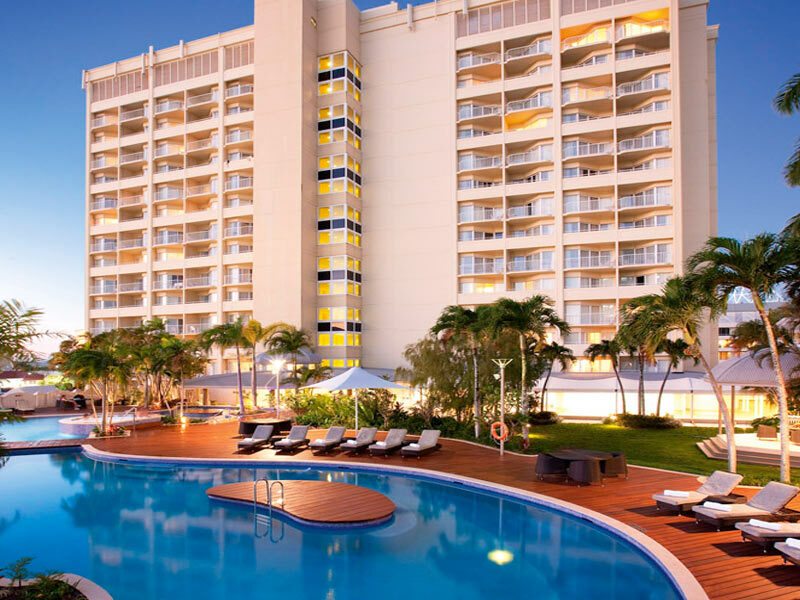 Pullman Cairns International is located just steps from the Cairns City Centre. Shops, world-class restaurants, cafés and bars surround it and the cruise departure terminal is just one block away. 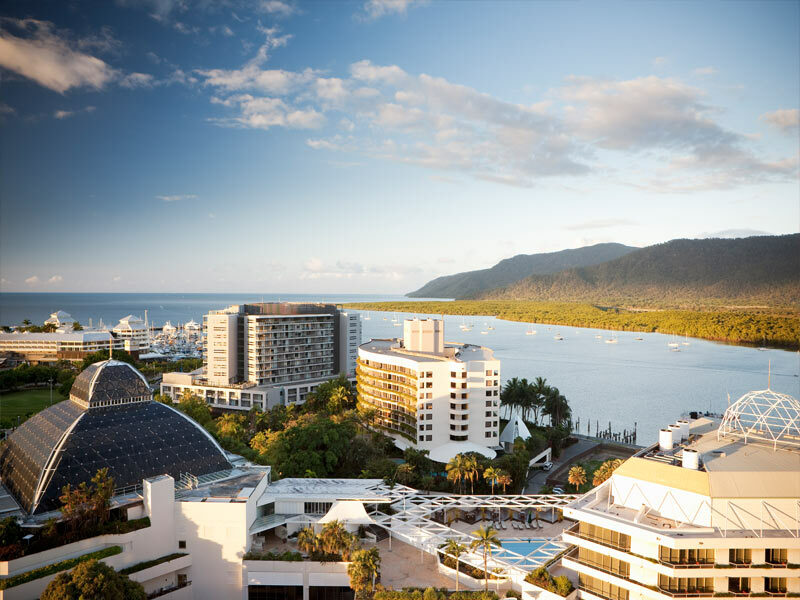 Pullman Cairns International is the closest 5-star resort to the Cairns Convention Centre and is within walking distance of the Casino, railway station and the vibrant night markets. The airport is approximately 8km away—the journey takes around 10-minutes by taxi. Because of its location, close to the cruise departure terminal, Pullman Cairns International is the perfect place to base yourself if you’re wanting to explore the Great Barrier Reef! Head out for a day of snorkelling or diving over this incredible world wonder. Return to your home-away-from-home with ease, wash off and prepare for the night ahead. There are countless restaurants within walking distance, including Coco’s Restaurant at the resort, and dining styles range from relaxed casual to fine dining to suit every traveller. There are a healthy dose of bars and nightlife venues nearby, plus guests can also explore the Cairns Regional Gallery (open every day), Rusty’s Market, the Cairns Night Market, Kuranda Railway, the Skyrail, the Daintree Rainforest and beyond! Great location with excellent facilities—perfect location for views, access, comfort and easy walk for everything else that the area has to offer. Five stars!